Capturing unicorns doesn't happen often, but when it does happen the tend to be at McCloskey Motors. 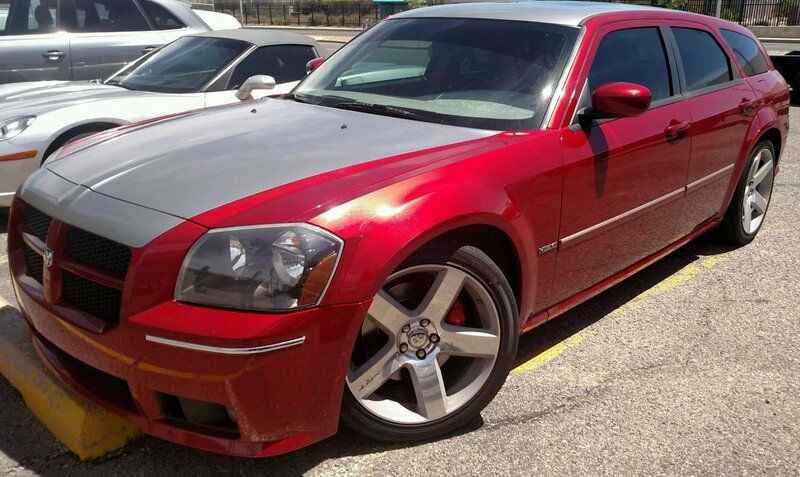 Our buyers were hard at work this weekend doing just that with these incredible find, the 2006 Dodge Magnum SRT8 and, the 2007 Dodge Charger SuperBee SRT 8. Both of these beautiful car's have Extremely low mileage and are fully loaded on the inside. Starting with the Magnum, this baby has an Enormous 6.1 Liter V8 in it with a 5-speed shift-able automatic. Putting out a jaw dropping 425 horsepower and 420 Foot pounds of torque. But this amazing machine isn't just a power beast it looks, feels, and sounds absolutely astonishing as well. The SRT 8 Package adding Bigger Wheels, a premium Boston audio system, leather seats and more. This car is Truly a rare find and with only 27,000 Miles. We also Got the beautiful 2007 Dodge Charger SuperBee SRT 8 is thing is just as slick as its cousin up above with leather seats, premium sound system, Sun Roof. The Super Bee made it debuted at the 2006 New York International car show for 2007 Models. Sharing the SRT 8's 6.1 liter V8 HEMI and coming in a rare detonator yellow paint with black decals. This thing is very fast with a 00-60 in only five seconds! And finished the quarter mile in an amazing 13 seconds, with a top speed of 165 mph. Oh and did we mention this baby only has 17,000 miles! Not only does this car look and sound good but they also just feel so good to drive make sure you come and see these babies before it to late!